When it comes to fusing together musical styles in a way that delivers huge commercial success and critical approval, few bands can claim the same success as Earth, Wind & Fire. 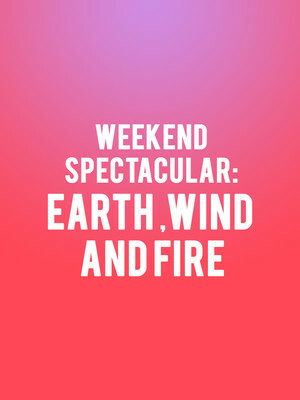 Why See Weekend Spectacular: Earth Wind and Fire? Formed by multi-talented bandleader, drummer, songwriter and all round musical genius Maurice White in 1969, Earth Wind & Fire quickly rose to the forefront of the 70s funk scene thanks to their sonic explorations and fusions with other genres including disco, pop, rock, psychedelia, jazz, world music, blues and folk. In the five decades sine their formation, the ever popular outfit has crafted a legacy of timeless hits that continue to soundtrack the lives of old and young today. Sing along to seminal classics like 'Remember', 'Let's Groove', 'Boogie Wonderland' and 'Shining Star' when the Rock and Roll Hall of Famers close out the legendary Hollywood Bowl's Weekend Spectaculars series, replete with accompaniment by the Hollywood Bowl Orchestra and conductor Thomas Wilkins and of course, a dazzling traditional firework display that'll leave you buzzing for the rest of the summer! Sound good to you? Share this page on social media and let your friends know about Weekend Spectacular: Earth Wind and Fire at Hollywood Bowl. Please note: The term Hollywood Bowl and/or Weekend Spectacular: Earth Wind and Fire as well as all associated graphics, logos, and/or other trademarks, tradenames or copyrights are the property of the Hollywood Bowl and/or Weekend Spectacular: Earth Wind and Fire and are used herein for factual descriptive purposes only. 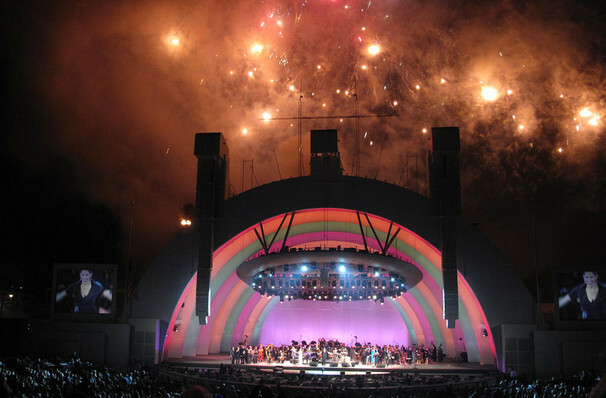 We are in no way associated with or authorized by the Hollywood Bowl and/or Weekend Spectacular: Earth Wind and Fire and neither that entity nor any of its affiliates have licensed or endorsed us to sell tickets, goods and or services in conjunction with their events.